2. Getting the link to that product. … can be time-consuming and difficult. So, as a result – we’ve added a Product Discovery Bookmarklet Tool for you to use to greatly narrow the amount of time from idea, to link! 1. Note that the Product Discovery Tool has identified the Merchant, and come up with a link that you can immediately use to link to this product and earn commission doing so. 2. Advanced Stuff is in the top right with the ability to add Afftrack, and get a shortened URL for social media. 3. 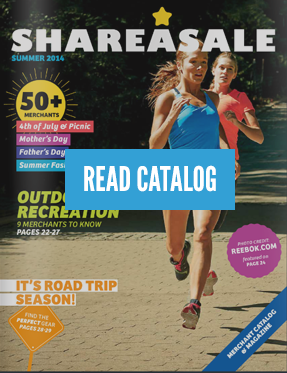 Choose from available images that will either come from the Datafeed on ShareASale, or the website itself. 4. Customize the text that you would like to see in the layout, and use the green arrows to switch between available layouts. Creative Code is the one that most bloggers will want to use. There is also the URL only, and the RAW HTML which will allows a blogger to further customize before putting on a site. When a product matches as specific datafeed SKU on ShareASale, additional options are available including saving that product to a “basket” on ShareASale for later use in Make-A-Page Galleries or just to save for later. All of my previously curated products show up – and I’m ready to create my gallery. VOILA. IN JUST A FEW SHORT MINUTES I’VE CREATED AN INTERACTIVE PIECE OF CREATIVE FOR MY READERS. THIS IS AWESOME – HOW DO I GET THE PRODUCT DISCOVERY BOOKMARKLET TOOL? We are currently accepting beta testers of the Product Discovery Tool to help us weed out any last minute bugs, and/or craft some additional features. I’ve never been so excited about a work tool in my whole life. This makes my world. I took the tool for an initial test drive and love it! so glad ShareASale is offering this now. Works like a charm. Super easy and quick to use. Thanks SO much! Its really wonderful to be here. This is my first visit here and I am here via after applying for a membership. a new person like me. I need to go thru this and learn more on this line. I am anxiously waiting for the end result of my application. May you all have a great and blessed weekend. Hi Ya’ll! Like Phillip, I’m a newbie as well and am looking forward to trying some of these tools. If any of you seasoned affiliate marketers have any wisdom and advise you can pass on to us newbies to help us avoid any pitfalls you may have encountered, or can help us overcome some of the mystery and challenges to affiliate marketing , please do. I’ve been looking at affiliate marketing for some time now and am finally taking the plunge. Thank you, and God bless,. You and I are in the same boat. I’m also new to Affiliate Marketing. What I would hope we can shares along with others. I just returned to Share a Sale after a few months. Now, I’m super excited to be back. I always wished you guys would have something like that. Makes life so eeeeeasy! is great saves a lot of work.Thank You again. What does it mean to “save for later”? Where does it save it to? Inside your account, on the Bookmarklet home it saves the URLs that you were at / saved. I just started using this tool and I think it’s fantastic! I am able to tweet or share affiliate product links right from the tool, which is great to alert my followers of deals I find while browsing my retailers site. Thank you for saving me my precious time!! Good work!! Does this tool work for ipad (ios)?